Allergy season is about to be upon us as Chicago warms up and the flowers begin to bloom. 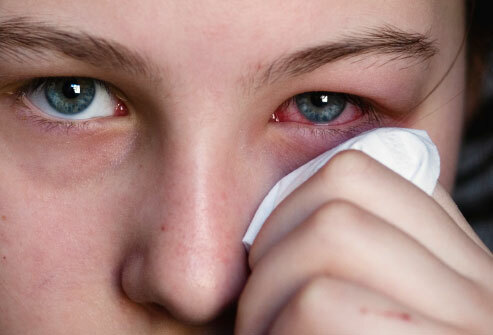 If you happen to have eyes that are red and/or itch, you may suffer from Allergic Conjuntivitis. Not to fear, there are a number of quick and easy treatments that provide relief. This month’s entry will discuss some common options for relief. The first line of defense are actually the over-the-counter (OTC) oral anti-histamine medications like Allegra, Benadryl, or Clarinex. 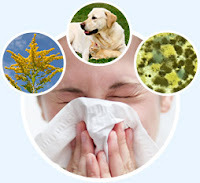 Many cases, especially with simple itchy eyes in children, the oral meds are enough to knock out a mild itch or mild redness, especially when other symptoms like sneezing are present. If this is not enough, or the patient’s only complaint is just with the eyes, the drops are the next line of defense. 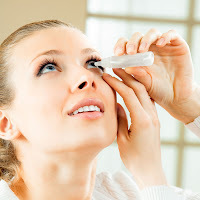 Walk into any eye and ear section of any pharmacy and you will almost surely be overwhelmed with the number of allergy drops and brand names. I frequently see many patients using whatever drop has had the most marketing recently on television. Visine is probably the most popular, but not necessarily the best in my professional opinion. My “go-to” OTC eye drop is Zaditor. 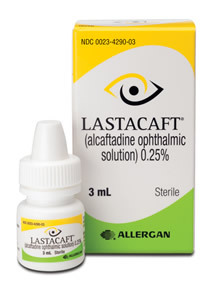 This drop was prescription only until 2006 when it received OTC approval from the FDA. Unlike most OTC drops, this one works in two ways: An antihistamine component (histamine is the chemical that actually causes the itch in the first place) and a mast cell stabilizing component (mast cells are where the histamine is stored). It is important to not rub the eyes when they itch as rubbing opens up the mast cells and they release even more histamine. For persistent cases, the prescription drops are more appropriate. Prescription only Pataday offers simple once a day dosing and is relatively affordable. Newer alternatives such as brand name Lastacaft (FDA approval 2010) and Bepreve (2009) offer more aggressive mechanisms of action and potentially greater relief. These drops have a handful of potential side-effects, but are relatively low risk. They have proven to be extremely helpful to many of my patients. So if you are experiencing any of these symptoms, get in to see your eye doctor or be sure to inquire about your options at your next annual examination! Dr. Andrew Neukirch practices at Carillon Vision Care in Glenview, IL. You may comment on this blog entry or email him here. Dr. Neukirch has no commercial interest in any of the products mentioned.